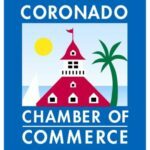 The Coronado Chamber of Commerce is hosting a community-wide Candidate Forum, focusing on issues important to local businesses, on Thursday, October 4th from 5:30 to 7:30 pm. The event will be held in the Winn Room at the Coronado Public Library. 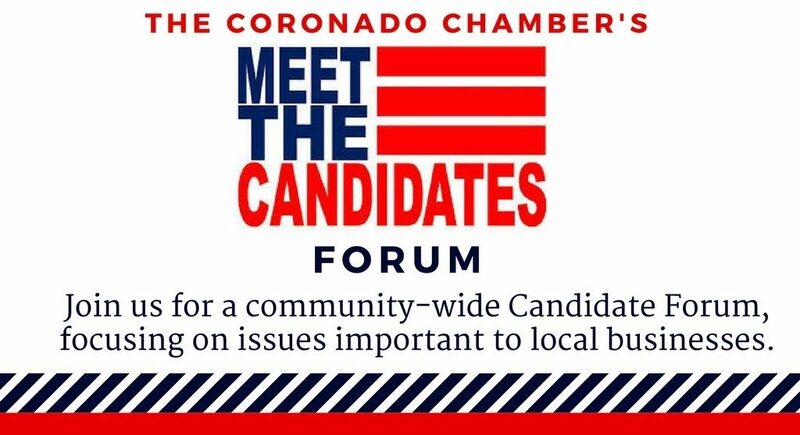 All are invited to come and learn more about the candidates running for City Council and how their visions and plans for Coronado affect our local economy and business owners. The Forum will begin promptly at 5:30pm and questions are welcome. Refreshments will be provided at this free event, but the Chamber is asking for RSVPs in advance. Please email info@coronadochamber.com or call 619-435-9260 to RSVP. More information can also be found on the Chamber website.